Window Washing Palatine offers window cleaning and window washing services. You can have it added to your regular house cleaning services with us, or you can also order it separately. Our goal is to make sure that your house is fully taken cared of — we can clean both panels, interior and exterior, or you can request which side you prefer to be cleaned. Window Washing Palatine prepared different types of services that you could choose from. We are also very flexible, and we are open to have our services customized and tailored-fit it to your needs. If you are looking for a high quality and dependable services, you are definitely in the right place. 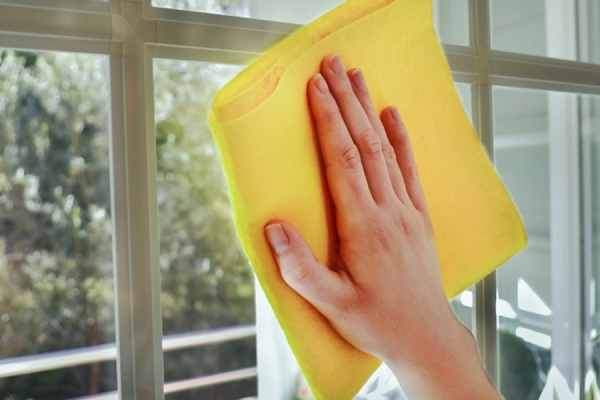 Cleaning of interior windows could be a bit risky because of the surrounding stuff. Furniture, appliances, and other things has to be considered. And really, if you are not an expert, you will find it hard to finish the task. It will also require you to buy special tools and equipment, as well as cleaning solutions that it may not be reasonable for you. Window Washing Palatine offers interior window washing, and you can have it added to your service when you have your house cleaned, or you can also add it to the job order when you have you exterior windows cleaned, which ever is more convenient for you. For preparation, please dust or wipe blinds —this can be added to your house cleaning service as well, and drapes to ensure longer lasting cleanliness of your windows. Keep furniture and appliances away from the windows as well to reduce the risk of accidental breakage. This is what we do best! Window Washing Palatine hired and trained experienced window washer to provide a superior service to everyone. Cleaning interior window is not enough to get that awesome and most-wanted clear and shiny windows. Regular cleaning of exterior windows is important as well to achieve a streak-free windows. We know that this is one of the household chores that you would hate doing. Here’s what you might get for trying to wash your exterior windows: wasted time and effort, tools and equipment that could not be used for any other tasks, more streaky and cloudy windows, and the most scary of them all, a broken bone. Our professional cleaners are equipped with the right set of tools and equipment, including safety gears, to be able to clean your exterior windows properly. Window Washing Palatine also researched and developed the perfect formulation to get rid of a dirty and cloudy windows. Window Washing Palatine values you as our client, that is why we only want the best service for you and your windows. Windows need to be properly maintained to keep it on its pristine condition for a long time. Sparkly Maid’s way of helping you on making it possible is through our Residential Window Maintenance Program. Window Washing Palatine prepared different types of subscription plans that could assist you in keeping your windows sparkly and spotless at all times. We call this ‘Window Care' program. It can be customized based on your preferences, and one of the benefits that you could enjoy is our discounted rates. Discounts given varies on the frequency of service. The more services you need, the more discounts you get. More discounts also mean great savings for you in the long run. Discounted rates. Through the Window Care program pioneered Window Washing Palatine by Sparkly Maid, you could get great savings in the long run because we are generously giving out discounted rates as a way of our gratitude for your patronage and loyalty. The discount will depend on the frequency of the service requested. Of course, the more frequent the service is, the higher the discount. Why choose window washing palatine? Window Washing Palatine by Sparkly Maid has been the partner of many families in keeping their home clean and tidy. We’ve been in the cleaning industry for years, and we are one of the most reputable cleaning companies in Illinois. We are prompt, professional, and reliable. And we always commit to provide an exemplary service. Our customer’s satisfaction is always our number 1 priority. Listed below are some reasons why you should choose Window Washing Palatine by Sparkly Maid to be your official window washer. Of course! Trust is a vital part of our business, and rest assured that Window Washing Palatine invested time and effort in getting the best and the right people for our team. We promise that our window washers are reliable and trustworthy. You are welcome to be home. Window Washing Palatine knows how busy you are with your work and other stuff. Rest assured that our team can work excellently even with no supervision from you. We also don’t want to take any of your time, please feel comfortable not being around during the cleaning. And you will be surprised once you come home to see your windows sparkle again. We don’t want you to think of anything else for the window cleaning. All supplies and solutions that will be used in the service will be provided by Window Washing Palatine.